It all started with a question- why are there no New England-designed and made rain jackets? Most rain jackets come from the UK and it’s time to claim- and celebrate- our independence. Our waxed cotton jackets are made in America, from seed to stitch, with organic cotton and a non-toxic water repellent finish. Our mission is to build textile systems that breathe life into our communities and cultivate relationships with the makers. 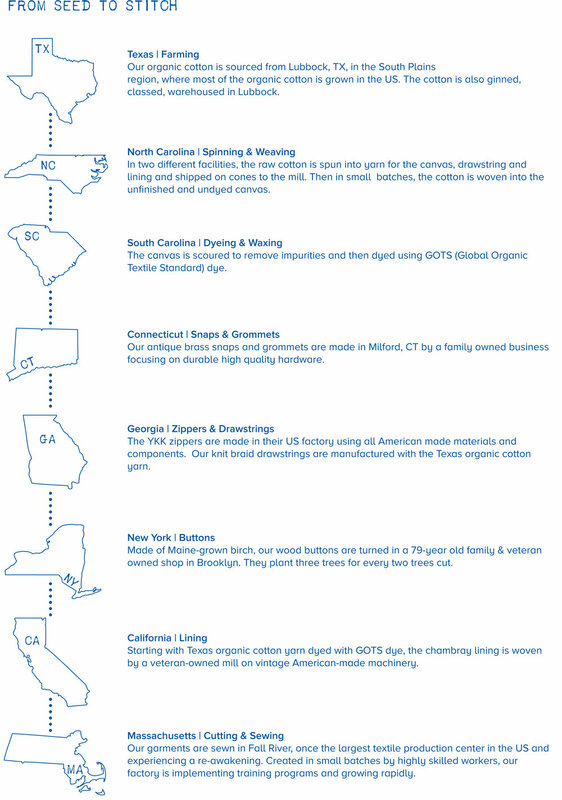 We are at a pivotal moment; out of control apparel production is wreaking havoc on human life and the environment, global supply chains are untraceable and American manufacturing has all but disappeared. Our focus is on water repellent outerwear, which is made with synthetic materials and bio-accumulative chemicals with a linear rather than circular life cycle. Most performance outerwear contains cancer-causing agents like PFAS, encourages use of fossil fuels, and emits toxic chemicals into groundwater. The full negative effect of these chemicals on the body is unknown at this time, but their use continues. To learn more about PFAS, see our list of resources here. Our 100% nature-derived beeswax blend wax is free of formaldehyde, PFAS, silicone, petroleum, and man-made polymers. 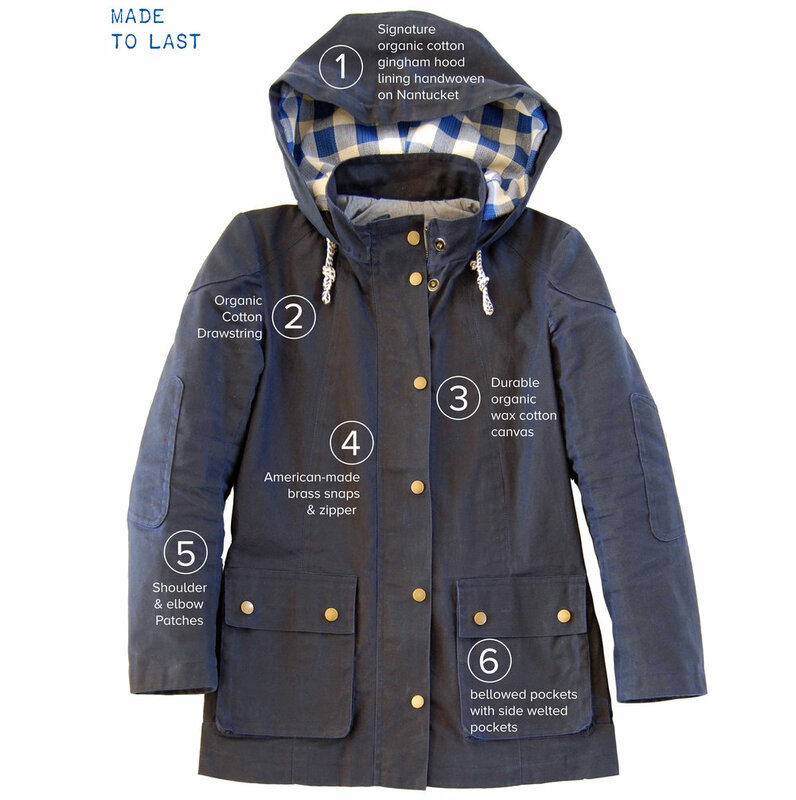 In fact, this is the first rain jacket free of these chemicals and compostable at the end of its life. Designed to stand the test of time, with occasional re-proofing our waxed cotton jackets get better with age, taking on rich character and patina.